The Department for Children and Families opened the application for a new child welfare grant system Thursday. It allows DCF to have more oversight of grantees than the old contract system, and separates foster care and family preservation services. The Kansas child welfare agency is splitting foster care from family preservation services. 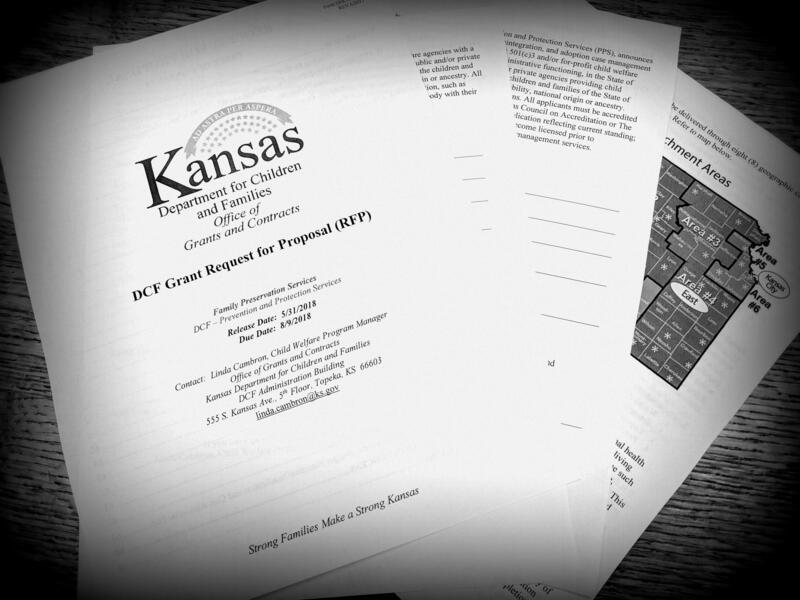 The Department for Children and Families put out its call for separate grantees Thursday. The state’s two current contractors — KVC Kansas in the Kansas City metro and eastern region, and St. Francis Community Services in Wichita and the western region — have been managing foster care and services aimed at keeping struggling families together. Under the new grant structure, no one agency will handle both in the same region, and DCF will have closer oversight over how state dollars are used than under the old contract system. Family preservation services will be divided across the four current regions: East, West, Kansas City and Wichita. Foster care will be split into eight smaller areas. DCF also says the new grants will allow family preservation to be more tailored, with services lasting anywhere from six weeks to 12 months. Contractors and child welfare workers have expressed frustration with the current one-size-fits-all approach that limits agencies’ caseloads and keeps families on a one-year timeline. Kansas privatized its foster care system in 1997 after a lawsuit revealed widespread problems and bad outcomes for children. Since then, the state has directly contracted with several agencies for foster care and family preservation, which in turn subcontract some services. Now separating family preservation and foster care will “eliminate perceived conflicts of interest,” DCF said in a news release. Christie Appelhanz, executive director of the Children’s Alliance of Kansas, which DCF contracts to provide training to foster families, said the new structure could be a step in the right direction. It might, she said, also level the playing field for smaller providers. Providers that couldn’t compete with agencies handling all child welfare services in a region before could now make a play for state grants to manage just family preservation, or just foster care, in that area. KVC spokeswoman Jenny Kutz said the agency is considering DCF’s new request for proposals, but can’t yet speak to which regions and services they will apply to manage, if any. KVC has been a contractor for DCF since the agency privatized foster care 20 years ago. Janis Friesen, spokeswoman for the other current contractor, St. Francis, said it won’t be releasing any information about its proposals before submitting them to DCF, citing the competitive nature of the bidding process. “We have a long history of serving the State and its children and families, and we hope to continue doing that wherever possible,” she said in an email. One “elephant in the room,” as Appelhanz described it, is whether more faith-based organizations will throw their hats into the ring for the state grants after the legislature passed a controversial bill allowing adoption and foster care subcontractors to turn away families who don’t fit with their religious beliefs. DCF Secretary Gina Meier-Hummel and Gov. Jeff Colyer said the new law would keep religious providers in Kansas and attract additional providers not yet operating in the state. Opponents of the religious exemption questioned its timing, as it came up for debate in the same year DCF’s child welfare contracts were expiring. “I do have concerns about the timing of this [bill], that it may impact which providers receive consideration for contracts,” Joni Hiatt, director of the advocacy organization Foster Adopt Connect in Kansas, said ahead of the final vote on the measure last month. DCF said it will also be soliciting bids for a single electronic system to match kids with foster homes and store records for youth in care statewide. Currently, each provider has its own system, making it difficult for the state to have accurate data on where there are available beds. Kansas Gov. 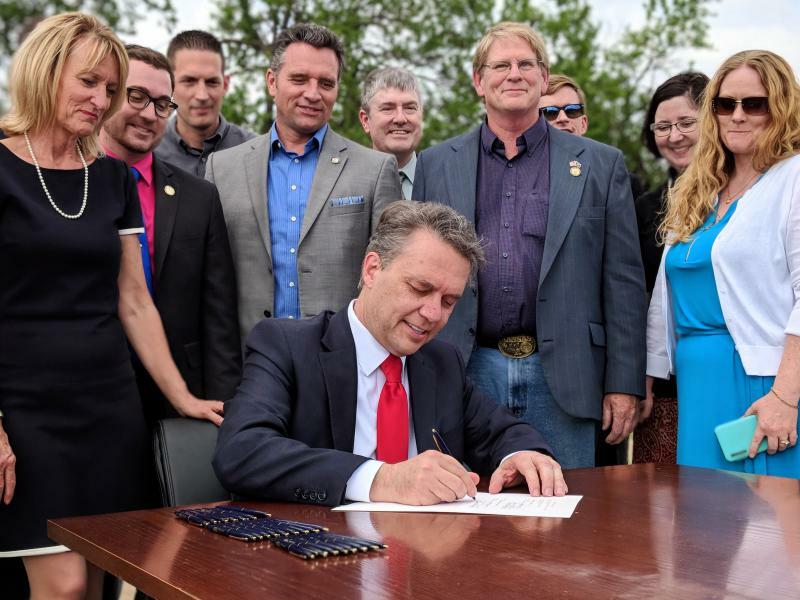 Jeff Colyer has signed into law a measure allowing faith-based adoption and foster care agencies to get state reimbursement for placement services — even if they turn away prospective parents on religious grounds. In the last year, the number of Cherokee County children in state custody shot up by roughly half. The places available for those kids to stay, meanwhile, hasn’t changed. So that’s meant shipping them two hours away — and regularly taking deputies from the 19-person sheriff’s department off patrol to drive the children to Andover, Kansas — the closest place available with any room. 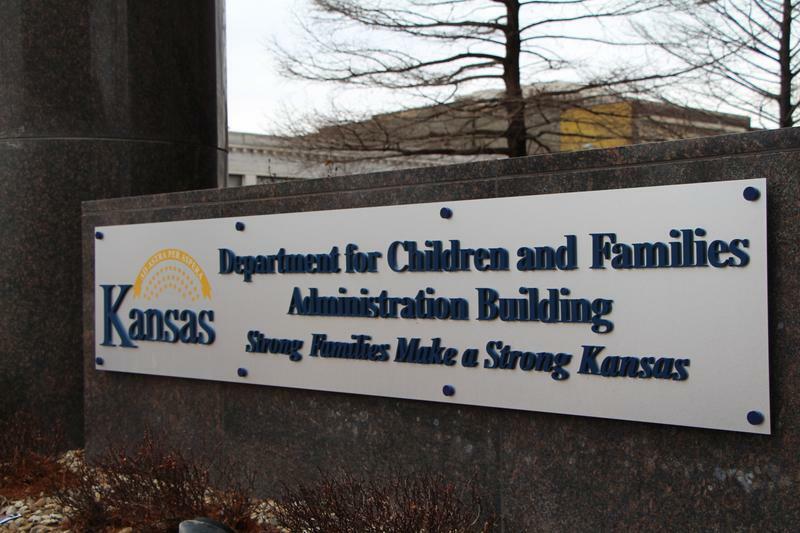 Some 20 administrators in the Kansas agency managing child welfare and state assistance have been promoted, fired or shifted to other posts since November. Gina Meier-Hummel was tapped to take over the Department for Children and Families nearly six months ago and says now that the changes have been aimed at strengthening the agency as it confronts a rising caseload of children in care. The Kansas Department for Children and Families is opening up child protection services jobs to people who aren’t licensed social workers. The new head of Kansas’ troubled child welfare agency got a unanimous vote of confidence from a legislative committee Friday. Even the agency's staunchest critics think Gina Meier-Hummel will sail through a confirmation vote from the full Senate to head the Department for Children and Families. “I can’t imagine that she will” face any serious opposition, said Sen. Laura Kelly, a Topeka Democrat running for governor, and one of several lawmakers who called for the ouster of Meier-Hummel’s predecessor, former DCF Secretary Phyllis Gilmore.